Nigerian Nobel Laureate Wole Soyinka in Enugu, southeastern Nigeria on March 1, 2012 (AFP Photo/Pius Utomi Ekpei) Lagos (AFP) – Nigerian President Goodluck Jonathan praised compatriot Wole Soyinka, the 1986 Nobel literature prize laureate who turns 80 on Sunday, for using his talents to promote good governance. Jonathan applauded Soyinka's "life-long dedication and indefatigable commitment to using his acclaimed genius and talents, not only in the service of the arts, but also for the promotion of democracy, good governance and respect for human rights in Nigeria, Africa and beyond." Dozens of literary and artistic events have been staged across the country in the runup to the birthday of the globally renowned literary icon. Former dictator General Yakubu Gowon, who jailed the writer for about two years during Nigeria's 1967-70 civil war, attended a lecture in Soyinka's hometown on Friday, saying: "I have come to Abeokuta for the sake of this particular man, to honour him." Gowon imprisoned Soyinka on suspicion that he supported Emeka Odumegwu-Ojukwu, who declared a state of "Biafra" in 1967, plunging the nation into war. An estimated one million people died in the 30-month-long war, mostly of disease and starvation. 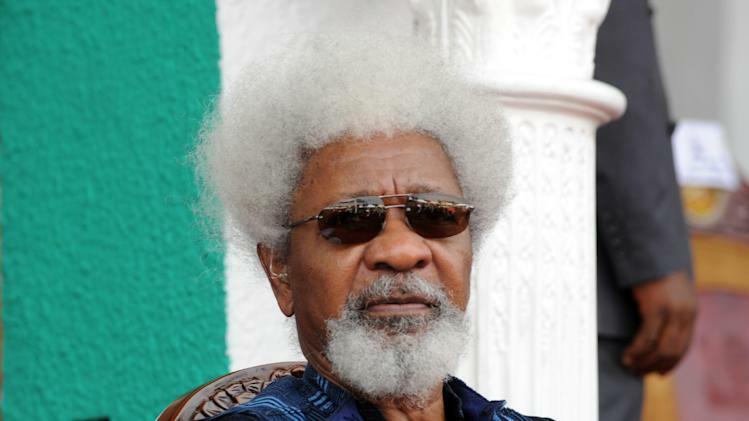 Born on July 13, 1934, in Abeokuta, capital of southwest Ogun state, Soyinka cut his literary teeth in the 1950s at the University of Ibadan, Nigeria's premier university, where he studied English literature. The poet, novelist and playwright has around 30 published works to his name, most of which satirise Nigerian society. A harsh critic of military, corrupt or inept governments, he fled the country during the regime of General Sani Abacha in the 1990s when the government hounded critics including journalists and academics. Francis vs. Benedict: Which Pope Is More Soccer?